What do you get when French tips and a moon manicure join together and have a particularly beautiful baby? It would probably look something like this mod nail art design by Jin Soon Choi, manicurist and founder of the JINSoon nail lacquer line and Jin Soon Spas in NYC. The three color design is understated enough to wear anywhere, but still guaranteed to score you tons Instagram likes. 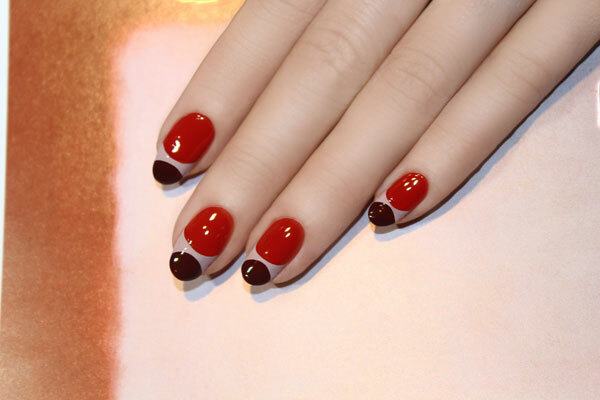 Here’s how to create the look using polishes from JINsoon’s collaboration set with Goop. Step 1: Apply a base coat like JINsoon Power Coat. Step 2: Draw a circle using JINsoon Vanity, starting from the base of the nail and ending it at a little below the center mark. Step 4: Fill in the space between two circles with JINsoon Demure. 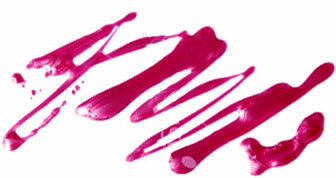 Step 5: Apply a high gloss topcoat like JINsoon Top Gloss.